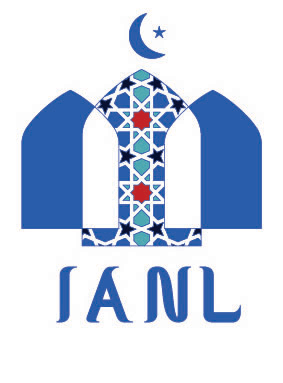 Our site https://ianl.org.uk is owned and operated by Islamic Association of North London, a Registered UK Charity (No. 1173839). The registered address is 683-685 High Road, North Finchley, London N12 0DA. Cookie– a small (text) file placed on your computer’s hard drive. It enables our website to identify your computer as you view different pages on our website. Personal data– means any and all data that relates to an identifiable person who can be directly or indirectly identified from that data. We/Us/Our– means Islamic Association of North London (IANL). Details as above. This policy aims to inform you of your rights and our obligations in relation to your personal data. It sets out how We and protect any information that you provide when using our website, or if you contact us by phone, letter or email, to enquire about our services. This policy applies to Islamic Association of North London. This policy allows us to continue to communicate with you in the future using electronic and non-electronic means in accordance with this law and your rights. Islamic Association of North London is the ‘data controller’ for the purposes of this policy, and the policy extends to its staff, volunteers and anyone else processing data on our behalf from time to time. Explicit and informed consent has been given by the person whose data is being processed. There is a legitimate interest in processing data. There is a legal obligation on Islamic Association of North London to process the data. Where relying solely on consent as the basis for processing data, we request your explicit consent and you can modify or withdraw this consent at any time. Islamic Association of North London may change this policy from time to time by updating this page. Regardless of any change to this policy, we will continue to process your personal data in accordance with your rights and our obligations in law. You should check this page from time to time to ensure that you are happy with any changes. This policy is effective from the date stated at the end of this document. Contact you via email, telephone or mail (eg, replying to emails from you). The right of access to the personal data we hold about you. You may request details of personal information which we hold about you. If you would like a copy of the information held on you, please submit your requests in writing to : Manager, Islamic Association of North London, 683-685 High Road, North Finchley, London N12 0DA. Or email us at info@ianl.org.uk. Under the GDPR, no fee is payable for a copy, and we will provide any and all information in response to your request free of charge. The right to be forgotten– You have the right to withdraw your consent to us using your personal data at any time, and to request that we delete it. We only hold your personal data for a limited time- 7 years- but if you would like us to delete it sooner please let us know. You can do this in writing by contacting Manager, Islamic Association of North London, 683-685 High Road, North Finchley, London N12 0DA. The right to restrict– You may choose to restrict the collection or use of your personal information, but this may inhibit or limit the way in which we are able to interact with you. If you wish to restrict the data we hold about you, please contact us in writing using the contact details above. The right to rectification– If any personal data we hold about you is inaccurate or incomplete. If you believe that any information we are holding on you is incorrect or incomplete, please contact us in writing as soon as possible using the contact details above. We will promptly correct any information found to be incorrect. We do not keep your personal data for any longer than is necessary in light of the reason(s) for which it was first collected. All personal data will therefore be retained for 7 years. We will only keep it in order to use it as described above and/or for as long as we have your permission to keep it. Some or all of your data may be stored outside of the European Area (“the EEA”) (The EEA consists of all EU member states, plus Norway, Iceland and Liechtenstein). You are deemed to accept and agree to this by using our site and submitting information to us. If we do store data outside the EEA, we will take all reasonable steps to ensure that your data is treated as safely and securely as it would be within the UK and under the GDPR. We are committed to ensuring that your information is secure. In order to prevent unauthorised access or disclosure, we have put in place suitable physical, electronic and managerial procedures to safeguard and secure to protect your data. Steps taken include, for example, using HTTPS; and SSL to securely send data between your browser and our website. All information you provide to us is stored on secure servers based in the UK or in secured paper files (locked). We also follow stringent procedures to ensure we work with all personal data in line with the GDPR. We may share your data with other companies in our group in order to provide our services to you. This includes our subsidiary and our holding company. We may sometimes contract with third parties to supply services to you on our our behalf. These may include payment processing, search engine facilities and marketing. In some cases, the third parties may require access to some or all of your data. Where any of your data is required for such a purpose, we will take all reasonable steps to ensure that your data will handled safely, securely, and in accordance with your rights, our obligations, and the obligations of the third party under the law. We may compile statistics about the use of our site including data on traffic, usage patterns, user numbers, and other information. All such data will be anonymised and will not include any personally identifying data, or any anonymised data that can be combined with other data and used to identify you. We sometimes use third party data processors that are located outside of the European Economic Area (“the EEA”) (The EEA consists of all EU member states, plus Norway, Iceland and Liechtenstein). Where we transfer any personal data outside the EEA, we will take all reasonable steps to ensure that your data is treated as safely and securely as it would be within the UK and under the GDPR, for example HTTPS and SSL. Any personal data we hold about you is stored and processed in line with the GDPR. A cookie is a small file which asks permission to be placed on your computer’s hard drive. First party cookies are those placed directly by us and are used only by us. Once you agree, the file is added and the cookie helps facilitate and improve your experience of our site and improve our service. We have taken steps to ensure that your privacy and personal data is protected and respected at all times. All cookies are used by and on our site are used in accordance with current Cookie Law. Before Cookies are placed on your computer or device, you will be shown a pop-up requesting your consent to set those Cookies. By giving your consent to the placing of Cookies you are enabling us to provide the best possible experience and service to you. You may, if you wish, deny consent to the placing of Cookies; however certain features of our site may not function fully or as intended. You will be given the opportunity to allow only first party Cookies and block third party Cookies. By using our site you may also receive third party Cookies on your computer or device. Third party Cookies are those placed by websites, services, and/or parties other than us. Third party Cookies are used on our site for website analytics (eg, Google Analytics). These Cookies are not integral to the functioning of our site and your use and experience of our site will not be impaired by refusing to consent to them. You can choose to delete Cookies on your computer or device at any time, however you may lose any information that enable you to access our site more quickly and efficiently. Analytics Cookies – To Analyse our web traffic using services provided by Google Analytics. Website analytics refers to a set of tools used to collect and analyse anonymous usage information, enabling us to better understand how our site is used. This, in turn, enables us to improve our site and services offered through it. You do not have to allow us to use these Cookies, however whilst our use of them does not pose any risk to your privacy or your safe use of our site, it does enable us to continually improve our site, making it a better and more useful experience for you. We only use this information for statistical analysis purposes and then the data is removed from the system. Functionality Cookies – To store Information about your preferences. Cookies allow web applications to respond to you as an individual. The web application can tailor its operations to your needs, likes and dislikes, by gathering and remembering information about your preferences.We may also collect and store information about your browsing device, including, where available, your IP address, operating system and browser type. Some functionality Cookies may also be strictly necessary Cookies, but not all necessarily fall into that category. Targeting Cookies – To test content on our website and to recognise when you return to our website- Cookies help us to provide you with a better website, by enabling us to monitor which pages you find useful and which you do not. (eg, which links you have visited). As with analytics Cookies, this information helps us to better understand you and in turn, to make our site more relevant to your interests. Strictly Necessary Cookies – A Cookie falls into this category if it essential to the operation of our site, supporting functions such as logging in and payment transactions etc. Third party Cookies – as explained above under ‘consent and control’. Persistent Cookies – Any of the above types of Cookie may be a persistent Cookie. Persistent Cookies are those which remain on our computer or device for a predetermined period and are activated each time you visit our site. Session Cookies – Any of the above types of Cookie may be a session Cookie. Session Cookie are temporary and only remain on your computer or device from the point at which you visit our site until you close your browser. Session Cookies are deleted when you close your browser.